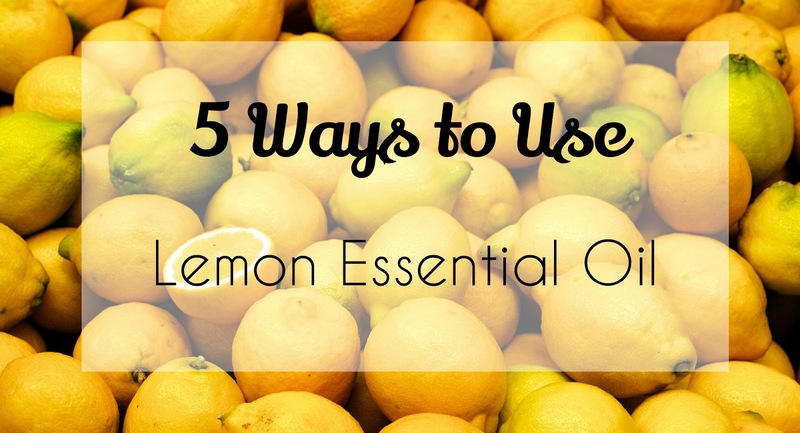 If you haven't tried essential oils yet, here are some ideas to get you started. Essential oils can be somewhat intimidating... how do you remember everything that each one can do? Lemon essential oil is extremely versatile and can be used in a wide variety of ways. Mix with vinegar for a general household cleaner. Mix with water and put in a spray bottle; spritz around your home when you need to freshen things up. Mix lemon essential oil with some baking soda, place in a small mason jar, cover with fabric, and leave on the counter for a natural air purifier. Or put it in the cup holder in your car and your car will smell great! Put a few drops down the sink while the garbage disposer is running. Your sink will never smell better! Make a tea by boiling water with a few slices of ginger and a few drops of lemon essential oil. Sip for sore throat relief, or just for fun! Bonus tip: Mix a few drops of lemon essential oil with sparkling water for a refreshing summer beverage! Check out my 5 Uses for Peppermint Essential Oil. *This is not a sponsored post. I am not paid or rewarded for this post.